Remove tomato hulls quickly & easily. Serrated stainless steel blades grip to remove the core cleanly. 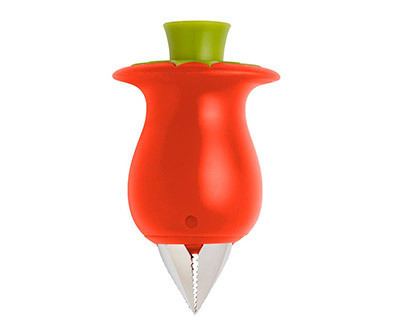 It can be used with both large & small tomatoes (including cherry tomatoes) & is top rack dishwasher safe.